Agensi Kaunselling dan Pengurusan Kredit (AKPK), an agency set up by Bank Negara Malaysia officially launched its Penang branch today. Located at the Bank Negara Malaysia premises, AKPK provide individuals with money management and credit counselling as well as debt management services. AKPK aims not only at providing advisory services but also assisting individuals who are encountering difficulties in meeting their financial commitments. The services of AKPK are provided free of charge. “The establishment of AKPK is part of the many efforts by Bank Negara Malaysia to proactively and pre-emptively ensure that the household sectors continue to be resilient by providing an avenue for individual borrowers and potential borrowers to seek advice and assistance on managing their credit while at the same time promoting a sound and robust banking system by facilitating debt repayment efforts and minimising incidence of non-payment arising from bad debt management. An important part of the strategies implemented in the Financial Sector Masterplan, has been the development of the consumer protection framework and the enabling infrastructure to protect consumers' interests while at the same time enhancing consumers’ financial capability to participate effectively in the financial system.“ said Bank Negara Malaysia’s Deputy Governor, Dato’ Mohd Razif Abdul Kadir. The set up of the regional office in Penang represents AKPK’s continuous effort to ensure that its services are available to a wider segment of the Malaysian population. A total of 5 regional AKPK offices commenced operations on 2 October 2006. In addition to Penang, AKPK had established branch offices in Johor Bahru, Kuala Terengganu, Kuching and Kota Kinabalu. With the launching of Penang’s branch, members of the public in the northern region can now have access to all the services offered by AKPK at a location, which is nearer and convenient to them. AKPK provides eligible individual borrowers assistance in restructuring debts relating to housing loans, hire purchase, credit card, charge card and other personal loans that have been obtained from institutions* regulated by Bank Negara Malaysia. AKPK does not provide any credit facility to customers. Over 11,000 customers have sought the services of the agency and more than 1,500 customers have been assisted via our Debt Management Program since we started operation in Kuala Lumpur in April 2006. Over 300 customers had sought our services on counselling and debt management in Penang since we commenced operation in October 2006.” said Dato’ Razif. “The people who approached AKPK for assistance are from all walks of life. In most cases, a combination of ignorance, poor planning and indiscipline led to their financial problems. Many are in debt problems due to one living a lifestyle beyond one’s means. There are also those who have been triggered by unforeseen circumstances like medical problems, death of breadwinner, temporary unemployed due to retrenchments and failure in business.” added Dato’ Razif. “The Debt Management Program has helped them ease their repayment burdens by making it affordable and help them to get back on track.” said Dato’ Razif. All commercial banks, all Islamic banks, all insurance companies, all takaful operators, development financial institutions under the purview of bank Negara Malaysia and credit/charge card issuers under the purview of bank Negara Malaysia. Agensi Kaunselling dan Pengurusan Kredit (AKPK), an agency set up by Bank Negara Malaysia officially launched its Kuala Terengganu branch today. Located at the Bank Negara Malaysia premises, AKPK provide individuals with credit counselling and money management, debt management programme as well as financial education. Through AKPK’s facilitation, debt management plans are devised to assist borrowers work out budgets in meeting their financial needs. The services of AKPK are provided free of charge. The establishment of AKPK is one of the strategies implemented in the Financial Sector Master Plan which is the development of the consumer protection framework and the enabling infrastructure to protect consumers' interests while at the same time enhancing consumers’ financial capability to participate effectively in the financial system. The set up of the regional office in Kuala Terengganu represents AKPK’s continuous effort to ensure that its services are available to a wider segment of the Malaysian population. A total of 5 regional AKPK offices commenced operations on 2 October 2006. In addition to Kuala Terengganu, AKPK had established branch offices in Johor Bahru, Penang, Kuching and Kota Kinabalu. With the launching of Kuala Terengganu’s branch, members of the public in the east coast region can now have access to all the services offered by AKPK at a location, which is nearer and convenient to them.AKPK provides eligible individual borrowers assistance in restructuring debts relating to housing loans, hire purchase, credit card, charge card and other personal loans that have been obtained from institutions* regulated by Bank Negara Malaysia. AKPK does not provide any credit facility to customers. The services are available to all individuals free of charge. “Over 11,000 customers have sought the services of the agency and more than 1,500 customers have been assisted via our Debt Management Program since we started operation in Kuala Lumpur in April 2006. Over 150 customers had sought our services on counselling and debt management in Kuala Terengganu since we commenced operation in October 2006.” said Datuk L. Meyyappan. “According to our statistics, about 51% of those who are in our debt management programme have problem with their credit card payment. Many are in debt problems due to living a lifestyle beyond one’s means. The Debt Management Program has helped them consolidate their loans repayment and ease their burdens by making it affordable and help them to get back on track.” added Datuk L. Meyyappan. Individuals who wish to obtain further information about the services of AKPK and its regional offices can contact or visit our offices nationwide. Agensi Kaunselling dan Pengurusan Kredit (AKPK), an agency set up by Bank Negara Malaysia officially launched its Johor Bahru branch today. Located at the Bank Negara Malaysia premises, the AKPK's Johor Bahru branch provide advisory services, counselling and assistance to individuals on areas relating to credit, financial management education as well as on debt restructuring. The services of AKPK are provided free of charge. The establishment of the regional office in Johor represents AKPK's continuous effort to ensure that its services are available to a wider segment of the Malaysian population. A total of 5 regional AKPK offices commenced operations on 2 October 2006. In addition to Johor Bahru, AKPK had established branch offices in Penang, Kuala Terengganu, Kuching and Kota Kinabalu. 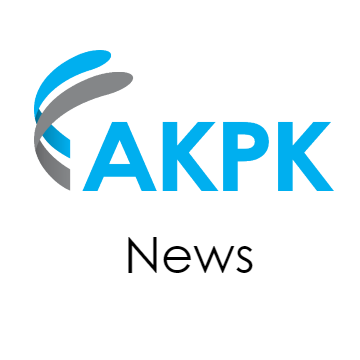 AKPK plans to launch all the other regional offices by end of January 2007. AKPK provides eligible individual borrowers assistance in restructuring debts relating to housing loans, hire purchase, credit card, charge card and other personal loans that have been obtained from institutions1 regulated by Bank Negara Malaysia. AKPK does not provide any credit facility to customers. With the launching of the new regional office in Johor Bahru, members of the public in the southern region can now have access to all the services offered by AKPK at a location, which is nearer and convenient to them. "Over 8,000 customers have sought the services of the agency and more than 1,000 customers have been assisted via our Debt Management Program since we started operation in Kuala Lumpur in April 2006. Over 200 customers had sought our services on counselling and debt management in Johor Bahru since we commenced operation in October 2006." said Chairman Datuk L Meyyappan. "The Debt Management Program has helped them ease their repayment burdens by making it affordable to them." added Datuk Meyyappan. Individuals who wish to obtain further information about the services of AKPK and its regional offices can contact or visit AKPK offices.